...are great tasting – mineral dense LIVE raw food. They contain a high amount of Life Force Energy and a natural balance of readily digestible proteins, carbohydrates, fats, minerals, enzymes, and micro-nutrients to supplement your diet. Our SuperCharge! growing process guarantees freshness for optimal flavor, nutrition, and shelf life. We also offer a large variety of plants we call MiniMicros which are also very nutritious, although not quite as "complete" as our main 3. MicroGreens are baby plants harvested at about 2 weeks after sprouting- during the grow phase when the plant has it’s optimal nutritional content. The roots are removed at harvest; the leaf sets and stem are consumed. A MicroGreen is also able to absorb light (unlike a sprout) giving them a high chlorophyll content. Why are they so nutritious? MicroGreens are considered both a Complete Food and a Superfood. Complete Foods have the ability to sustain life because of their desirable nutrition content and balanced ratio of protein, carbohydrates, and fats. Superfoods are foods containing an exceptionally high nutritive value. 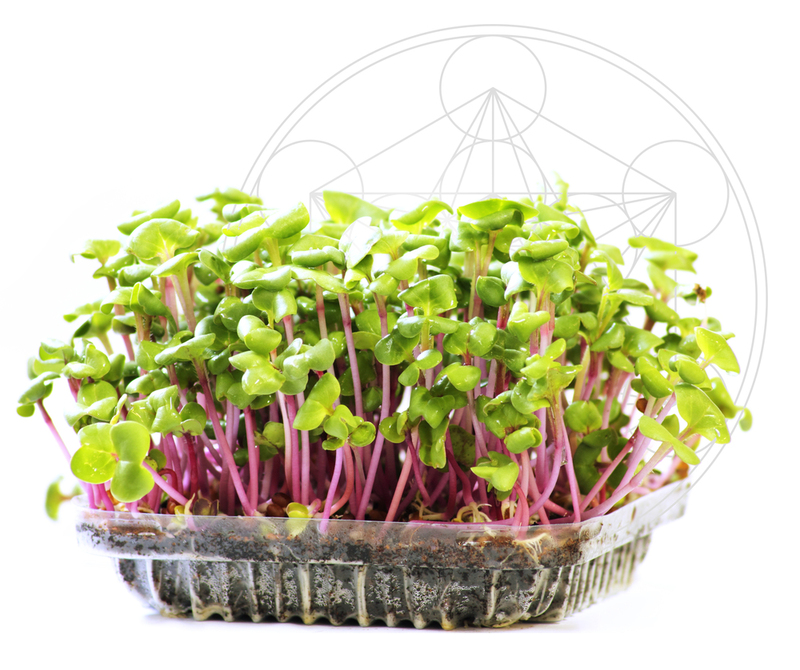 MicroGreens have all the life-activated nutrition of a sprout, plus the added goodness present from the MicroGreen's ability to absorb nutrients through its roots. As a MicroGreen contains a set of roots, the plant is able to uptake available minerals present in its growing medium. Our SuperCharge! process provides our plants with all the elements in optimal growing conditions to maximize the plants ability to absorb nutrition and energy!